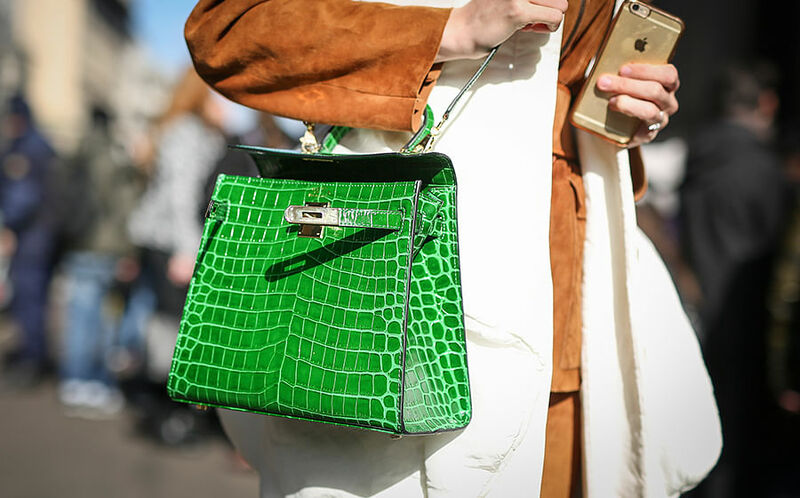 Apart from prêt-à-porter and footwear, the four major fashion capitals too dictate what the latest bags will be for the future. Some of these arm candies are practical for work, while others are…let’s just say, they’re perfect for the weekends, or on your social media feeds. 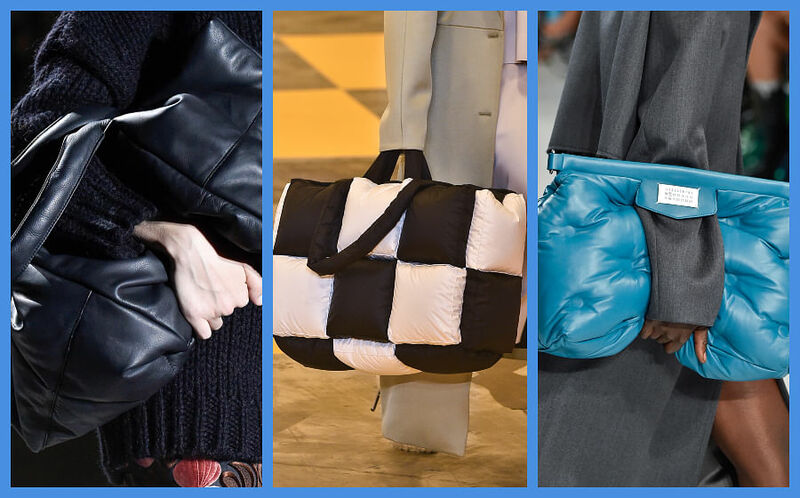 Take a look at our take on the latest bag trends that are fresh off the F/W’19 shows and get ahead of the trends (because who wants to be a follower when you can be a trendsetter). With many fashion labels introducing new logos (Celine! Burberry!) and monograms (Furla! Ferragamo!) 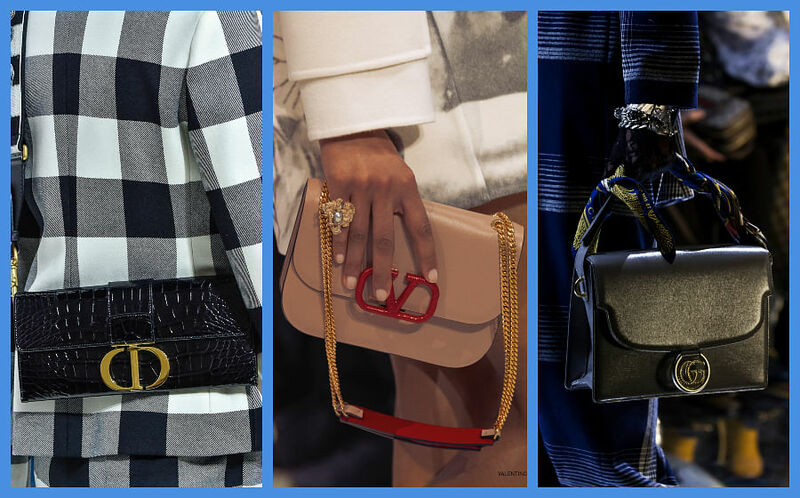 last year, it wouldn’t be a surprise to see a rise in logo clasp purses this season. From Dior to Valentino to Gucci, these bags are timeless for both work and play. Christian Dior’s CD logo is fashioned onto a black patent crocodile crossbody bag. Valentino's piece came in a pretty shade of red and blush pink. Gucci’s downsize version of its Marmont exudes a quiet elegance. 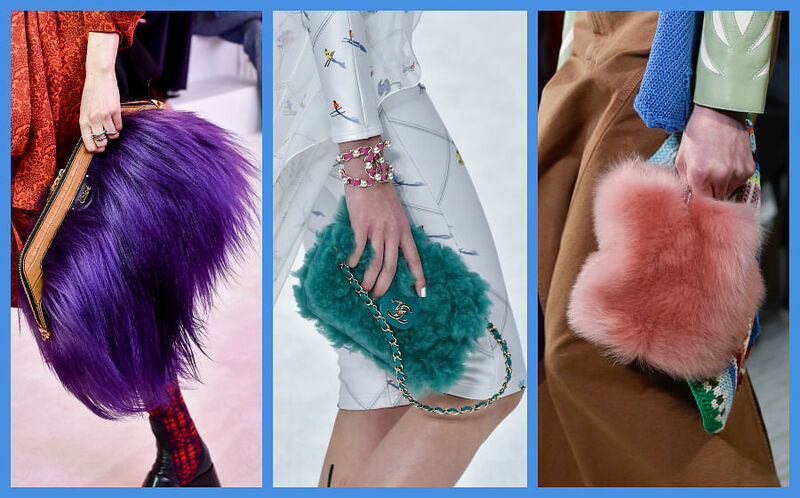 With a rise of fashion powerhouses banning the usage of fur, can the furry tote make a comeback for F/W’19? Well, they can. And they did. Apart from the whole ethical issue and what-not (brands like Stella McCartney and Chanel saying no to animal cruelty), the true question arises: Are they practical? Most probably not. But, are they Instagrammable? Totally. Chloé is serving us noughties nostalgia: This particularly silhouette was once a highly coveted arm candy amongst many fashion insiders. Chanel’s 2.55 was doused in a lovely shade of teal shearling (it’s definitely faux). Lanvin was thinking pink, particularly the soft baby pink hue. Get yourself cosy, because oversized, quilted, duvet-style bags are giving us hygge delights this F/W’19. Why Netflix and chill when you can cuddle up with your new bag? Dries van Noten’s plush leather purse got us all fashionably covered for the work week. Virgil Abloh’s Off-White backgammon checkered tote is roomy enough to keep the Middle Eastern board game inside for gaming night. Maison Margiela’s cool shade of blue instantly relieves us from any work related stress. 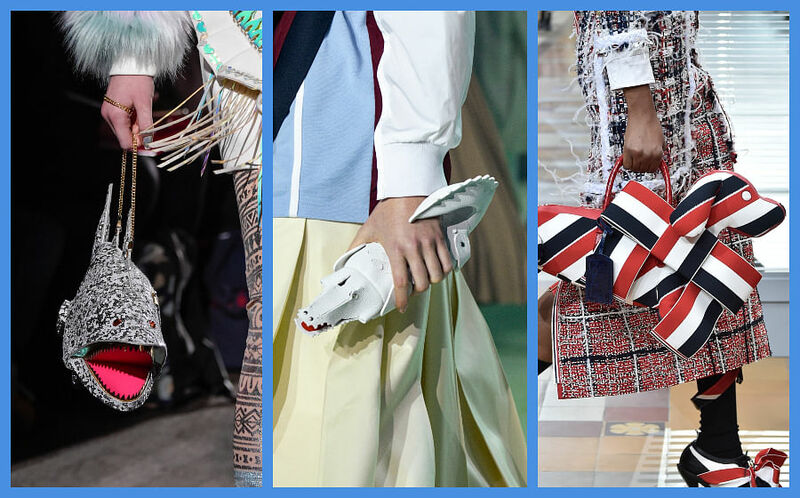 Novelty bags were given an unexpected twist this season. For F/W’19, fashion visits the farm to gather their inspiration for purses. And there came along animal motif bags, from top handles to clutches. Finally, you don’t have to wait till pet-friendly days to bring your little partners to the office. Manish Arora takes the au courant ugly trend literally with an Anglerfish crossbody. Lacoste’s iconic crocodile logo finds its way as a clutch instead of being just an embroidery on polo tees. And if you’re not a fan of furry friends, well, Thom Browne’s dog purse could be the perfect replacement. 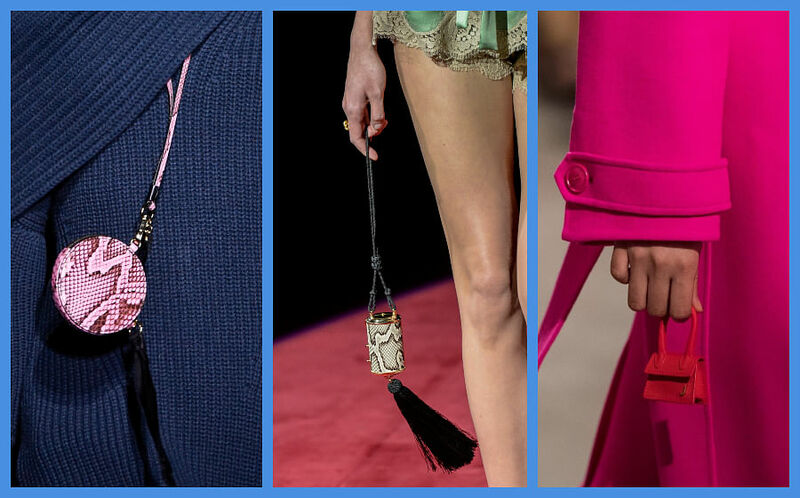 If novelty bags got you questioning its existence, wait till you see the ridiculously teeny tiny purses that flocked the F/W’19 runways. Extra-micro bags are all the rage, especially those that are “big” enough to store a mint (or two, if you try really hard). Either way, these lust-worthy pieces can act as quirky accents to your original purse. Givenchy’s rendition comes as a pink python circular pouch. Dolce & Gabbana’s piece is fashioned in snakeskin too: A cylindrical container with a tassel (that’s ironically larger than the actual purse) that hangs freely on its bottom. Jacquemus’ Le Chiquito gets even more petite, as if its original version was not minute enough.